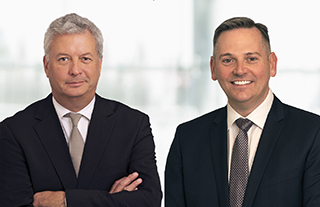 Michael Rousseau, Deputy Chief Executive Officer and Chief Financial Officer (left) and Craig Landry, Executive Vice President, Operations (right) at Air Canada. Air Canada has announced the appointments of Michael Rousseau to the new position of Deputy Chief Executive Officer and Chief Financial Officer, and Craig Landry to Executive Vice President, Operations, effective 1JAN. Rousseau and Landry are both based in Montreal, reporting to President CEO Calin Rovinescu, Air Canada's President and Chief Executive Officer. "I am very pleased to announce two appointments within our deep and highly experienced leadership team to new roles as we continue delivering on our global ambitions. Mike's appointment recognizes the significant and highly strategic role he has played in our successful transformation over the past decade, and he will assume increased responsibility for several of our important corporate initiatives and businesses,” said Rovinescu. “Craig's appointment underscores the important contribution he has made to many areas of our airline over the past two decades. With his knowledge of virtually every aspect of our business, he will play a key role in leading our increased focus on delivering a world-class operation throughout the 220 worldwide markets and six continents we fly to," Rovinescu added. As Deputy CEO and CFO, Rousseau will assume oversight for several corporate initiatives and businesses, in addition to his present responsibilities, including Air Canada Rouge where President Duncan Bureau will now report directly to Rousseau. He is currently Air Canada's EVP & CFO, with responsibility for the airline's overall financial strategic direction comprising all aspects of financial reporting and planning, investor relations, treasury and controller's operations, taxation, pension administration, internal audit, procurement and corporate real estate. Rousseau was named Canada's CFO of the Year for 2017 by Financial Executives International Canada (FEI Canada), PwC Canada and Robert Half. As EVP, Operations, Landry will have oversight for all aspects of safe, reliable and efficient operations throughout AC's worldwide network, with responsibility for Flight Operations, Systems Operations Control, Maintenance and Engineering, International Operations, In-Flight Service, Crew Planning and Scheduling, Airports, Contact Centres, Customer Relations, and Air Canada Vacations. 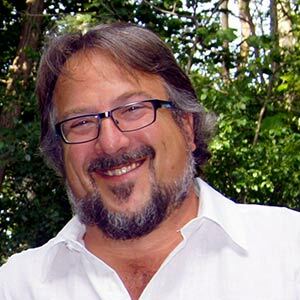 Landry is currently SVP, Revenue Optimization, and has held several executive roles with responsibility for various aspects of the airline's commercial group, including global revenue growth and yield management, pricing, sales, product distribution, the global leisure business, marketing, product and brand, eCommerce, marketing communications and analytics. He also previously held executive roles at the loyalty and data analytics company, Aeroplan (Aimia).